The shock of potentially losing the historic Mrs. Forman's has taken a few days to wear off, but the forces are aligning to preserve golf's most historic social gathering spot as a structure. But why stop there? Conversion to a residence when it hasn't been one for nearly 200 years seems shortsighted. After the last fight over Musselburgh Links, I've given up trying to understand the inability to grasp the lack of appreciation for Edinburgh historical sites like Musselburgh and Mrs. Forman's. Perhaps it's a matter of branding and marketing, or maybe this traces to the longtime rivalry between St. Andrews and Edinburgh. At this point, nothing should matter but protecting the game's most vital sites of importance. Enough people know how vital this area was to the shaping of the sport as we know it today. Therefore, preserving golf's first mid-round snack bar and a historic post-round "19th hole" should supersede any rivalries. 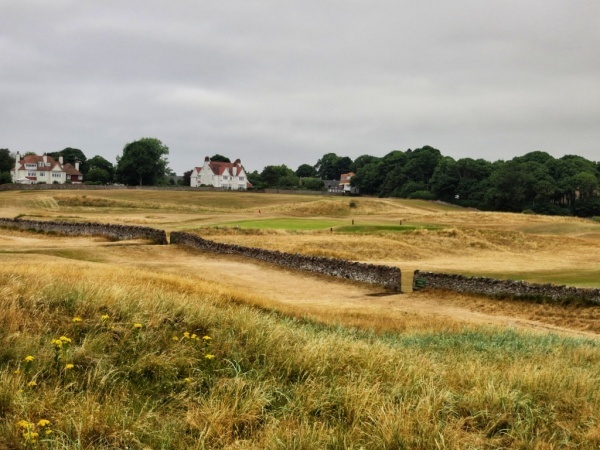 For a nice, succinct bit of background on how the demolition plans were discovered, check out Ru Macdonald's discussion with Neil Laird on the Scottish Golf Travel podcast. 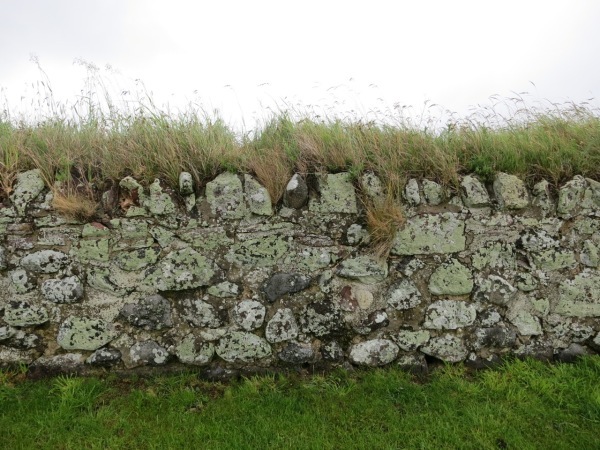 Laird's excellent Scottish Golf History website is worth a look for background on this saga and for future trip planning. My photos from inside the now-shuttered eatery, including the view from Mrs. Forman's window, which she opened to serve golfers during their rounds. And finally, courtesy of building architect Mungo Park, relative of Musselburgh's legendary Park clan, here is where you can write to influence the future of "The Cradle of Golf." His comments are on a fantastic GolfClubAtlas.com thread about the closing. Anyone that wants to do the same, or your own version, should do so by e-mail before the 17th February. but you must quote the Application number 15/01035/P, 2 Ravensheugh Road, Musselburgh and state whether you are supporting or opposing or just commenting. Again quote reference number '15/01035/P - 2 Ravensheugh Road, Musselburgh'. You can also comment on line, but will need to register on the web-site before doing so - not onerous but a bit tedious. I think it is worth putting a marker down at this stage, so that East Lothian at least knows that Mrs Forman's has a significance to the history of golf, and that people care about it. There is a good level of concern nationally and internationally, and the more comments they receive the more notice will be taken now and in the future. I shall keep an eye out for future applications. Not to mention that Mrs. Forman's was home to the original and still greatest beverage cart girl. It's with complete shock and sadness that I read this Golf Business News story (thanks Peter Flinn) on the October closing of Mrs. Forman's restaurant. 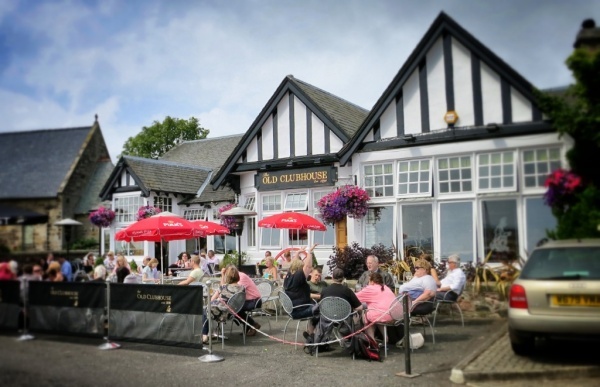 Even worse than this lovely eatery closing (one that had been reimagined into a modern pub which also paid tribute to the buildings' incredible past), is the plan by a developer to level the 1822 structure behind Musselburgh's 4th green. Originally helmed by Mrs. Marion Forman for nearly 20 years, this matronly saint of golf dining served golfers food and drink through the back window, or after their rounds. Many of the game's greats have dined and two of the very greatest even feuded there. 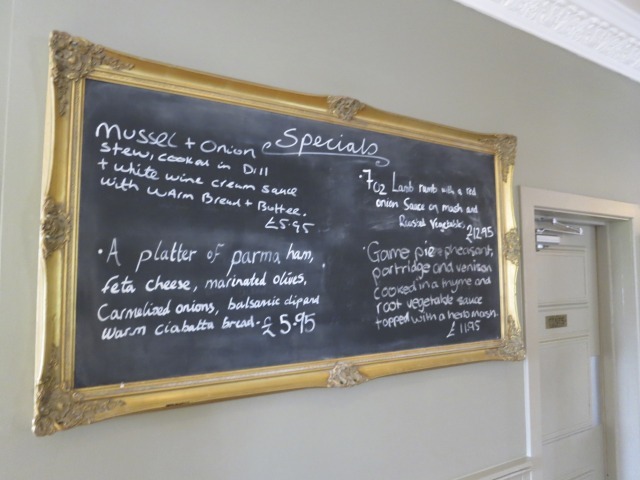 While a few Bruntsfield establishments might be able to say they were older, Mrs. Forman's was certainly the first mid-round snack bar and it has been a bit of a miracle that this sweet spot had been reinvented to serve locals and honor the past. 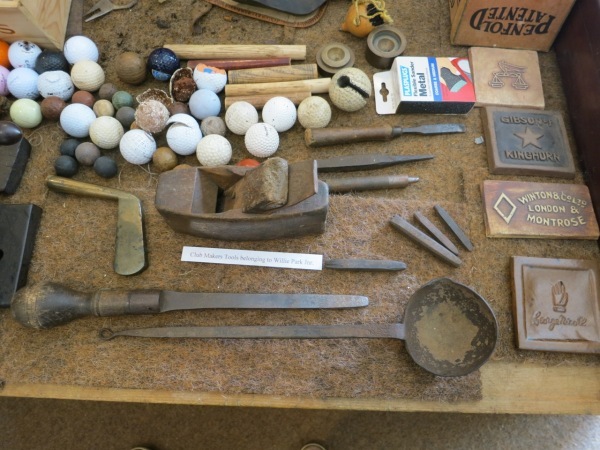 Scottish Golf History sums up this and many other moments from Mrs. Forman's past. Longtime readers will know it was on my must stop list in my Golf Digest story and site video about an East Lothian pilgrimage. How I regret not having stopped in from the Scottish Open to The Open. 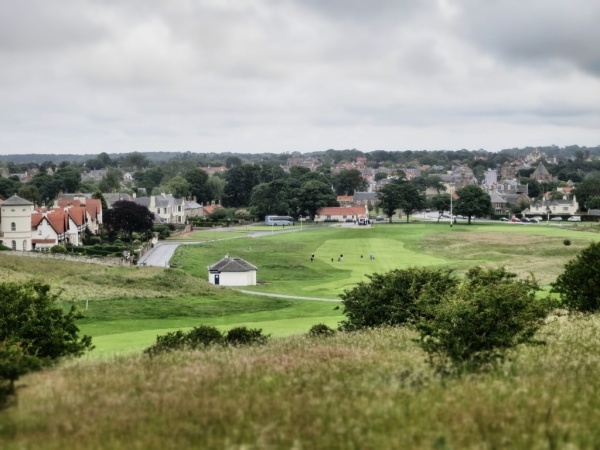 Another East Lothian Journal story by Sam Berkeley suggests that the building might be saved, perhaps based on some early feedback to a developer's plans for a car garage on this sacred site for golf. 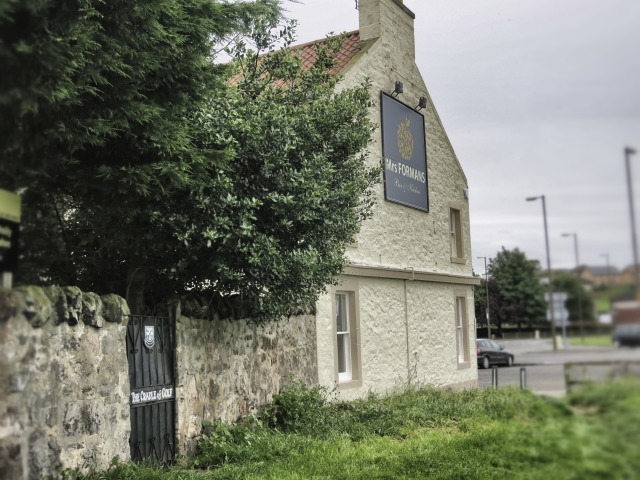 A rethink is now on the cards, with the company considering retaining the pub building, which had been a local landmark next to Musselburgh Racecourse and Musselburgh Old Course Golf Club for many years. Well, 194 years to be exact. My YouTube video on the 4th green and Mrs. Forman's. I will put together more images from Musselburgh that include Mrs. Forman's as I'll remember it. Because with a heavy heart, I'm afraid this golfing institution has served it's last meal. Hopefully something can at least be done to keep the structure intact as it's very much in play on the 4th hole of the links. Wrapping up the week of light posting and celebrating all things East Lothian golf, the final course to be highlighted is Gullane. By no means the only other course that is required viewing, but on this trip I had the opportunity to play with some colleagues and came away with a new appreciation for the No. 1 course here. (Nos. 2 and 3 are swell too, but No. 1 is the world class experience). Architecturally, Gullane doesn't have the features that you find on North Berwick but instead the overall experience of starting in town, playing up the hill, then taking in the views up high before playing some splended holes closer to the sea, before a brutally difficult inward stretch that ends back in town. Somehow it all works, though Gullane is a difficult exam, especially with its robust roughs (great soil, no more rabbits munching on it). 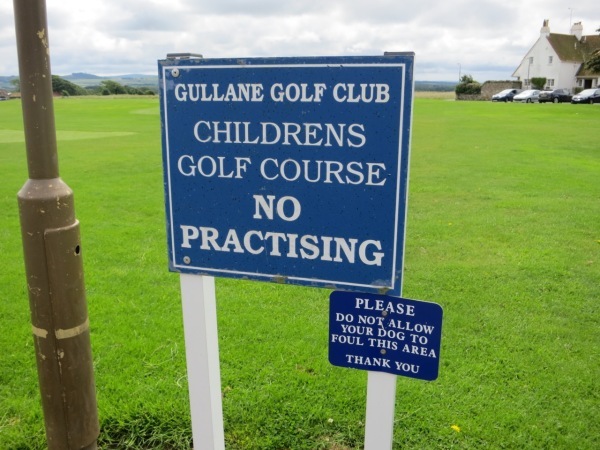 One favorite element of Gullane is the sight of teeing off-golfers silouetted through the round. 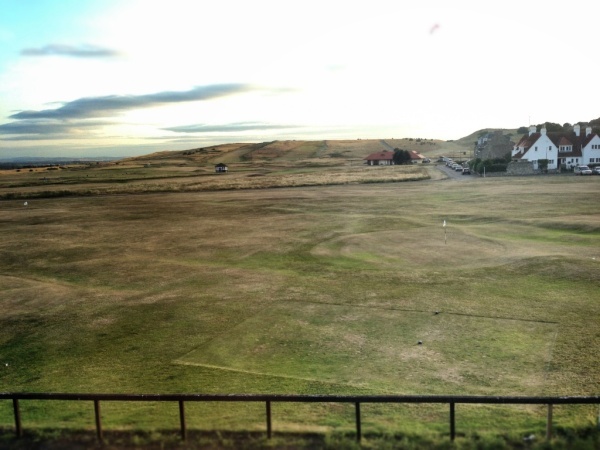 You never feel like you are teeing off on unnaturally perched tees, yet everytime you turn your head at Gullane you see a few golfers atop a tee, whapping away at their tee ball. ESPN.com's Bob Harig wrote about our round but out of kindness, left out the number of times I pointed this out. 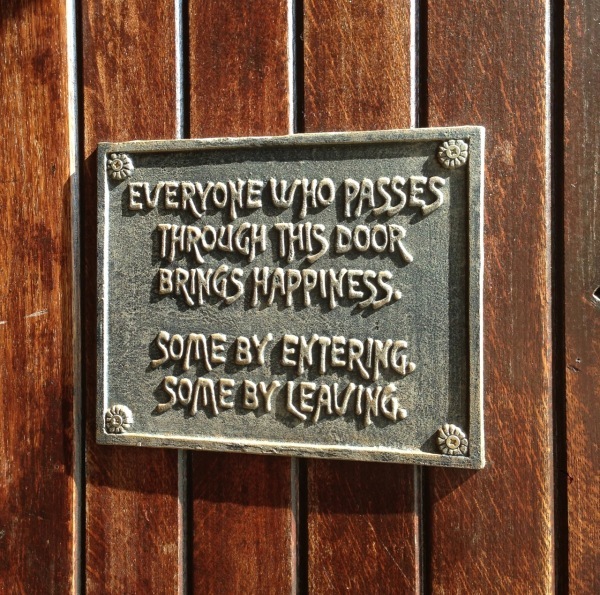 If you go, there are other elements that will make your trip even better. As I noted in my Golf Digest story, The Golf Inn, Old Clubhouse and a visit with Archie Baird are all musts. There is also a splendid German bakery on the corner of the intersection with the signal. But finally, you also will just want to wander around the town and the Children's course to experience what it's like to be in a town that leaves and breathes golf. You'll see kids walking the streets with the clubs and overhear people talking about their games. It reminds you what a great community we are apart of. 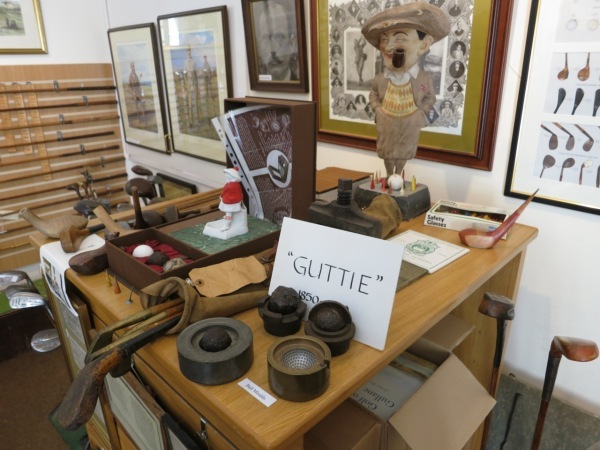 Some photos from 2012 and 2013, including inside Mr. Baird's museum. Reminder: all of the East Lothian posts can be found by searching above, going to topics East Lothian, and also the Photos page to see the images. 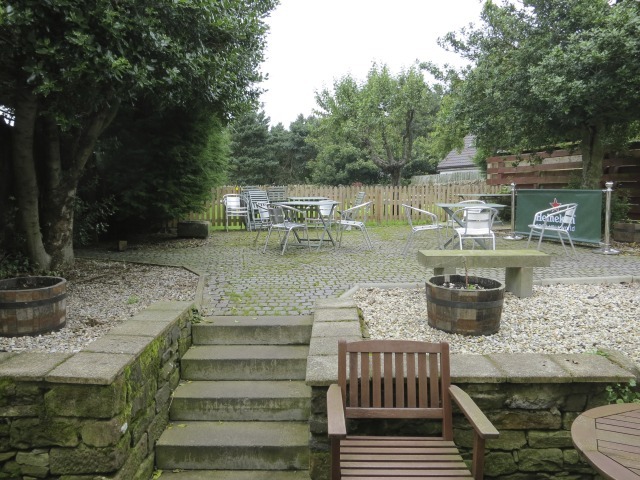 And Golf East Lothian's website is your best bet for trip planning help. 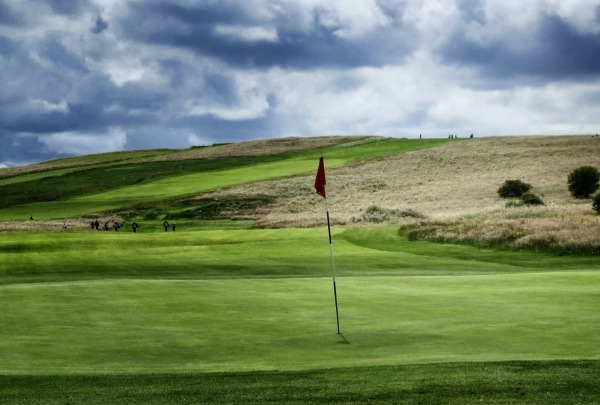 The real star of Open Championship week: North Berwick West Links. Everyone who played there raved about the experience and in a shocking twist of fate, the architecture. Long held by Americans and even some Scots as too fluky and strange, while generally punished in rankings by panelists because of its lack of, well I don’t know what, this masterpiece impressed with its cinematic setting and enjoyment. “It’s so fun,” were the operative words heard over and over again. 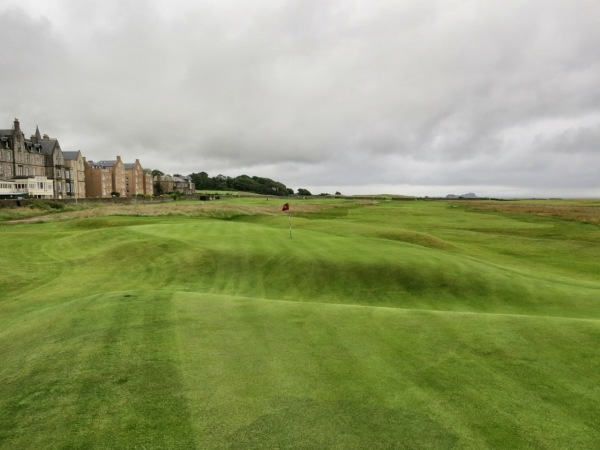 But even more than the purest golfing pleasure imaginable, there seemed to be a newfound appreciation for the importance of studying the West Links as a model for design and as the ultimate community course. “You can’t call yourself a student of architecture until you’ve played there,” said Geoff Ogilvy, who played North Berwick Tuesday afternoon after his morning practice round. Other pros spotted there during the week included Stewart Cink (using a trolley! ), Bubba Watson and Johnson Wagner. 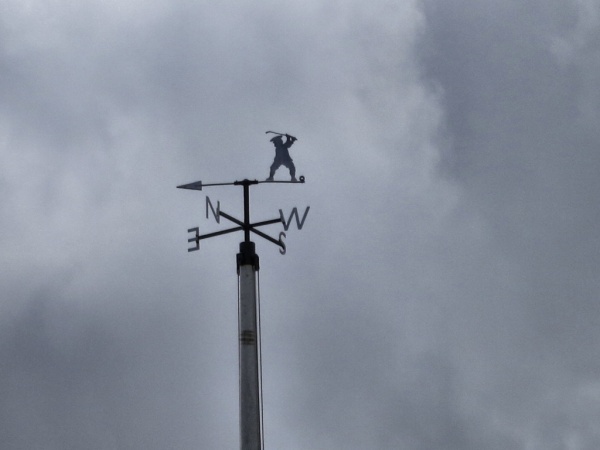 Other dignitaries like USGA Executive Director Mike Davis went for morning or evening strolls to take in the sacred grounds and all came away either reminded of its genius or newly infatuated. Even the often maligned Redan hole, whose offspring tend to be more fun to play, was savored thanks to the firm conditions which made the approach function beautifully. 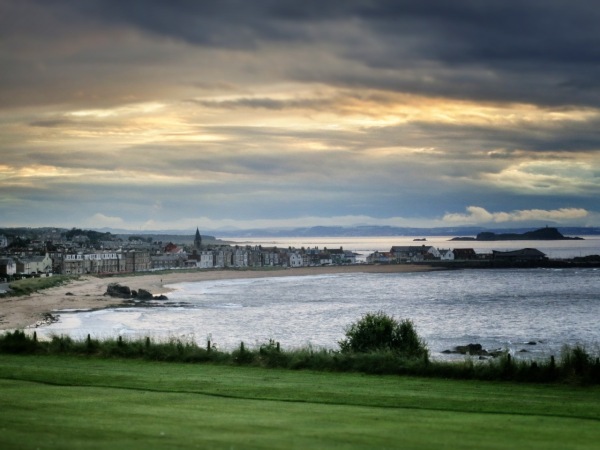 The other frequent reaction: if golf had more places like North Berwick, with its character rich design and neighboring children’s course, the sport would be much healthier going forward. As I noted in my East Lothian pilgrimage story for the July Golf Digest, this is a masterpiece that must be the centerpiece of any visit to this grand golfing mecca. Oh, and don't be shy about playing the "East Links," aka The Glen. It overlooks the town and while not featuring as many interesting ground features (what course does? ), it's a great alternative, especially late in the day as the sun sets. There is something about wandering around land where they played golf a few hundred years ago that humbles you and maybe even alters your perspective on this wacky game. 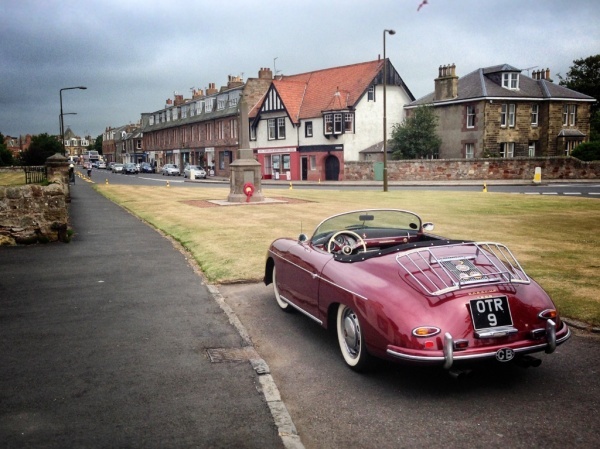 My East Lothian pilgrimage story for the July Golf Digest explains the absolute necessity for those making a golf pilgrimage to visit the ghosts at Leith Links (still appreciated by the Leith Rules Society) and 67 Canongate (Kilderkin Pub) to see the home of John Patersone and the Far & Sure plaque. 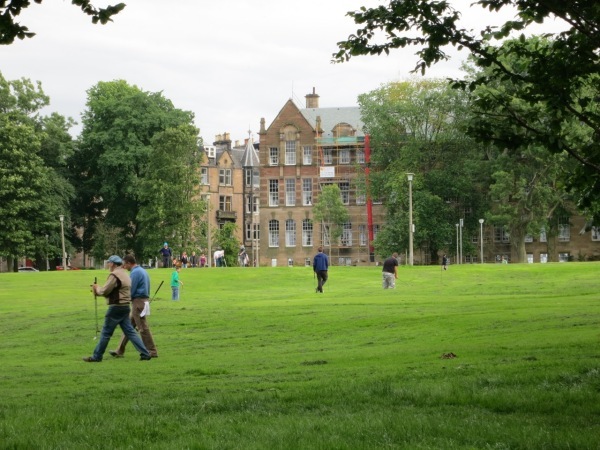 And then there's the Bruntsfield Links area where the oldest golf clubhouse operates as a public tavern (The Golf Tavern), remains a super place to grab a pint or bite, and the links is a wildly fun 36-hole pitch and putt today. In 1681, James, Duke of York, who would later become James II, played an integral role in the first international match. 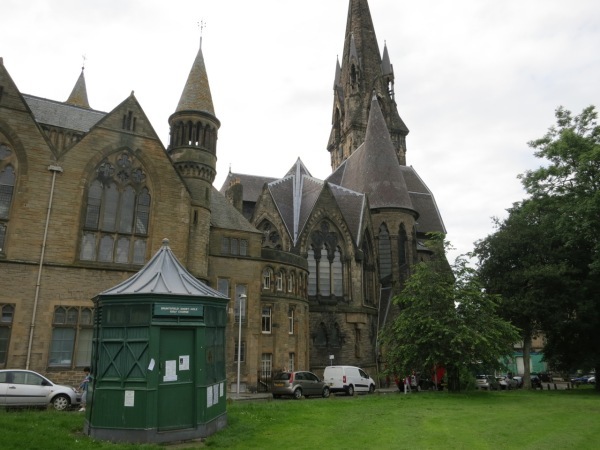 As legend has it, the Duke was an avid golfer and would often be seen on Leith Links in Edinburgh. Apparently, two English nobleman, while attending the Scottish Court, insisted that the game was of English descent, creating a dispute with the Duke. Defending the game as Scottish in origin, the Duke accepted the challenge to settle the matter on the links. A foursome was arranged, but not before the Duke conducted a through search for a suitable partner. The Duke relined on townspeople, who all agreed that the finest golfer was, ironically a common shoemaker named John Patersone. With a grand sum of money at stake, the modest cobbler and the future king partnered to defend the honor of their national game. The two won the match handily and , for his efforts, Patersone was granted half of the sizable purse. With the earning, he immediately purchased a home at 77 Caonogate, where over the front door was placed the Patersone coat of arms along with the appropriate motto, "Far and Sure." Last week I visited these places again while touring the extraordinary city of Edinburgh. I was educated about them by golf architect Scott Macpherson, who is lucky enough to live there. And while it's important to go back to the places the game was first played, I also think they offer something much deeper in the way of perspective about how long people have been struggling at this maddening game. Just picturing the ghosts of 200 years ago trying to figure out their backswing position or a better way of playing golf and knowing that we continue to carry to the torch today, can be an important and dare I say, spiritual experience. 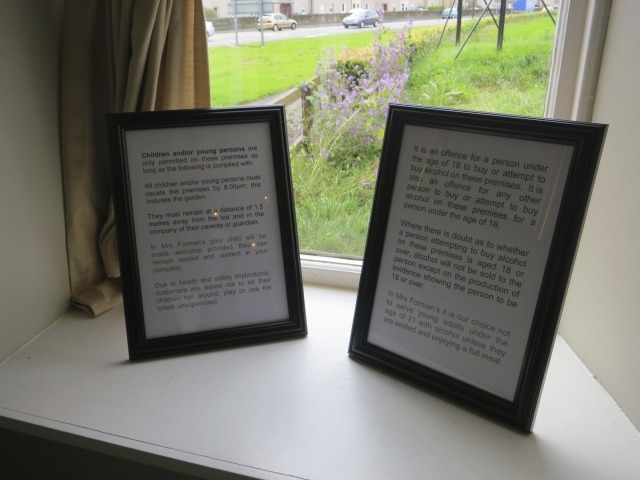 Some images from 2012 and 2013 of the sights mentioned. 2012 would be the green grass year and '13 the browned out look and superior playing condition.